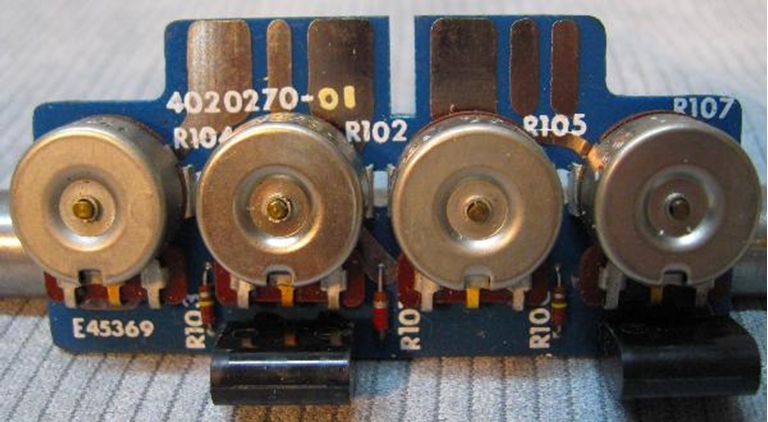 These boards have 4 pots accessable through the front cover of the electronics module and provide both Hi frequency and Low frequency equalization at both speeds. This version (-01 suffix) is used in Reproduce Electronics for 15/7.5 IPS machines. There are 4 of these boards available, all old original Ampex stock. The price listed is each.